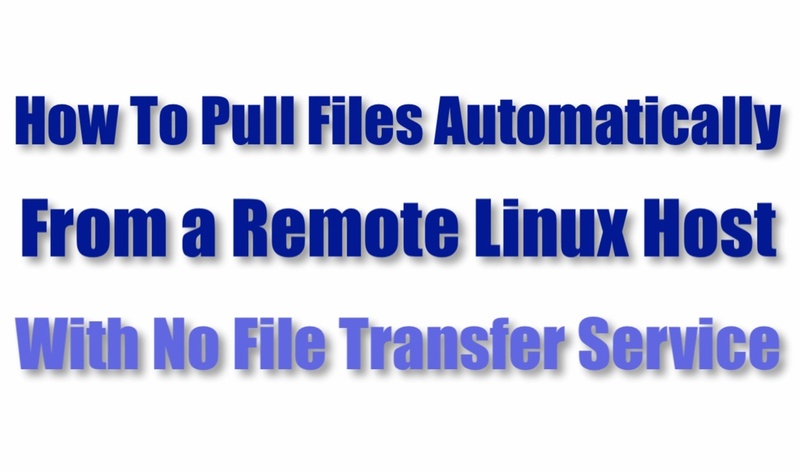 Learn how to PUSH files from a remote Linux host even if that host doesn't have any file transfer service (FTP, SFTP, etc) running on it. Learn how to pull files automatically from a remote host that has no built-in file transfer service whatsoever. MFT Synchronizer Agent is the answer if you need to transfer files between two hosts and one host doesn't have any file transfer application whatsoever. In this post, we'll teach you how to install MFT Synchronizer Agent on Linux. 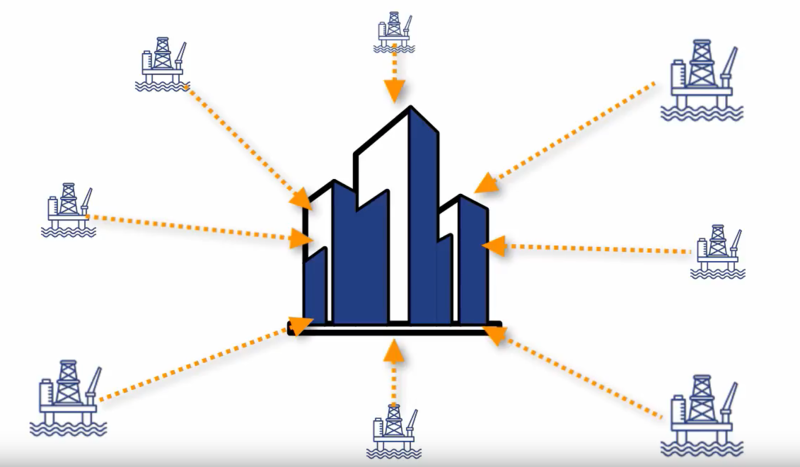 Learn how to install JSCAPE MFT Synchronizer on Windows through this video. Santa Barbara Tax Products Group (TPG) operates from San Diego, California, where it serves consumers nationwide with tax-related financial products and services that provide value, are fairly priced, and satisfy consumer need. TPG offers these products through a network of tax preparation franchises, independent tax professionals and online tax preparation providers. Learn how to configure JSCAPE MFT Server to fetch files from multiple SFTP servers and then send those files to a trading partner. In a 24x7 economy, where companies need to transact with customers or trading partners round the clock, it's not recommended to rely on traditional solutions. Learn why in this post. A quick video demonstrating how to set up JSCAPE MFT Server to automatically list files as they're uploaded to your server. This article was originally posted on March 28, 2012 but was updated on May 31, 2018 to reflect the latest UI. If you are familiar with JSCAPE MFT Server you may already be aware of the power and flexibility that Triggers can offer you as an administrator. 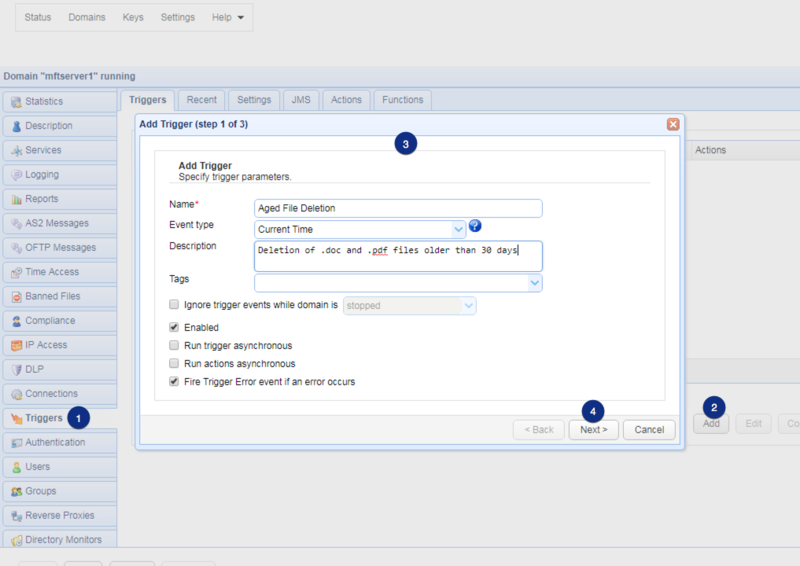 If you are new to JSCAPE MFT Server, Triggers allow you to automate processes with the use of Event Type parameters and Trigger Actions. Basically, Event Types are predefined events with configurable parameters that represent a condition, when that condition is met it triggers the associated action to be performed. In this article I will show you how to create a Trigger to automate the deletion of aged files and explain how the Trigger accomplishes this task.